This introductory guide to ABA demystifies the often complex terminology, the underlying principles, and commonly-used procedures of ABA using accessible, everyday language. This revised and updated edition reflects recent developments and introduces new key terms. 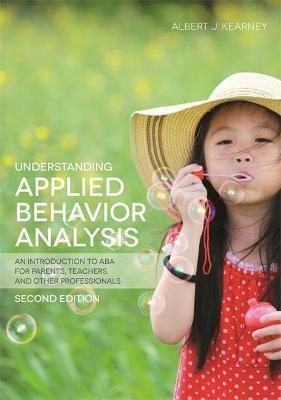 Albert J. Kearney explains the kinds of learning and reinforcement processes that form the basis of ABA programs. Having covered these essential principles, he describes how the science of behavior analysis can be effectively applied to real life behavior problems. He looks at how behavior is assessed and various intervention techniques that are often employed with children who have autism and other special needs. Having laid these essential foundations, Kearney touches on more advanced topics: the applications of ABA in behavioral education, such as precision teaching and programmed instruction.